Let It Snow! Let It Snow! Let It…Are You Crazy? Snow is in the forecast for today. A winter storm advisory. They’re calling for eleven inches at my house. 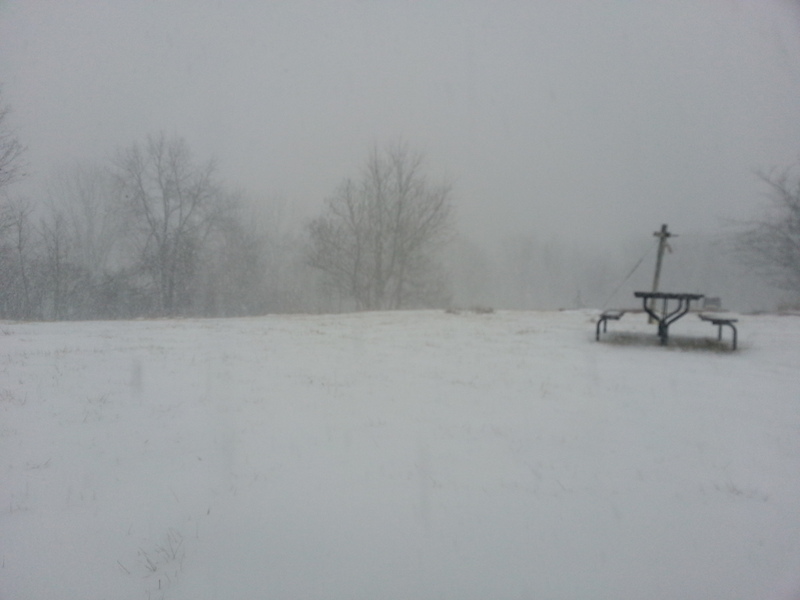 (This is out my back door. It’s still early in the storm.) So I thought it might be a good day to review our blizzard history. In terms of devastation, The Great Blizzard of 1888 still holds the record. Encompassing the New England states, it resulted in fifty inches of snow in some areas. This storm earned its nickname—The Great White Hurricane—with sustained winds of forty miles an hour and gusts of up to eighty. (Wow!) Snapped telephone and telegraph lines isolated the major cities for days, and the transportation difficulties led to the development of the New York subway system. Silver City, Colorado holds the record for snowfall on April 12-15, 1921—98 inches in 72 hours! A picture is worth a thousand words. 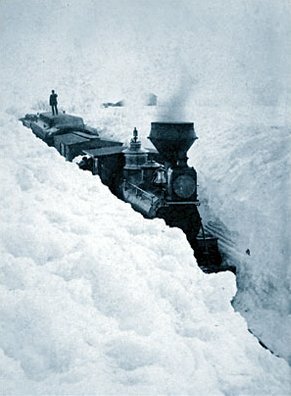 This is a picture (March 29, 1881) of a train in Minnesota slogging through drifts higher than the locomotive. Notice the man standing on top of the last car. Railroad workers would have had to dig the tracks out by hand. Even if we have to dig through eleven inches later today, it could be worse.